Metals Engineering transitions from ISO 9001:2008 to certification under ISO 9001:2015. The ISO 9001:2015 certification acknowledges the company’s robust quality system and the commitment of every associate to produce to specification, the first time, every time. The desire to achieve the highest quality standard in all that the company does has bred within Metals Engineering a culture that is focused on excellence. Metals Engineering will meet the quality requirements of our business partners through strict adherence to validated procedures, a total commitment to excellence, and a focus on improving the lives of those we serve. 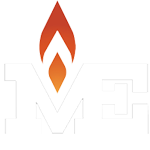 Since 1967 Metals Engineering has provided heat-treating services to foundries, fabrication shops, OEM’s, and machine shops located in WI and the greater Midwest. The company is family-owned and growth-focused, and specializes in the following heat-treat services: Carburizing, Carbo-Nitriding, Annealing, Normalizing, Stress-Relieving, Quench & Temper, Precipitation Hardening, Sub-Critical Annealing, Induction Hardening, Neutral Hardening, Carbon Restoration, Jig Tempering, Cryogenic Treatment, Induction Brazing, Shot Blasting and Straightening. Contact us to learn how Metals Engineering can improve your product’s performance or to request a quote.